Whether you're moving a thousand miles or just across town, you can count on Arey Realty for personal attention to your real estate needs. 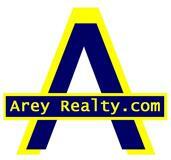 They are justified in having the motto, "Real Service in Real Estate". your personal online real estate source.